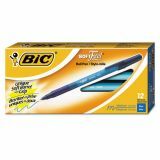 BIC Soft Feel Stick Ballpoint Pen, Medium 1mm, Blue Ink & Barrel, Dozen - Stick pens feature a rubberized round barrel with ringed finger grip to provide comfort. Color-coded barrel indicates ink color. 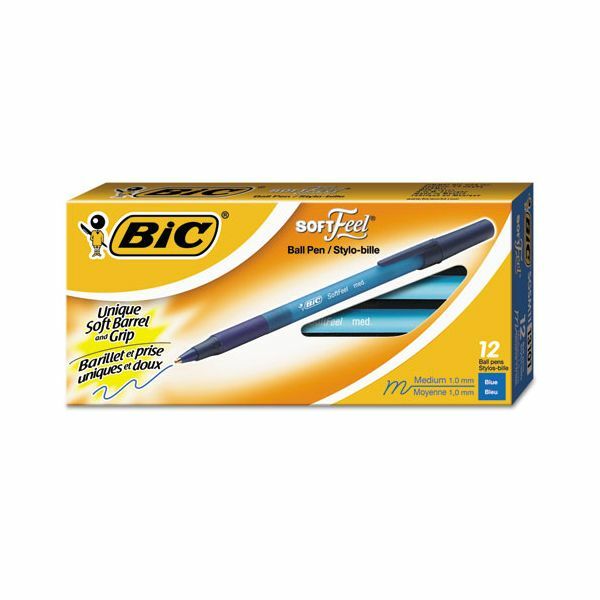 Ballpoint pens are nonrefillable.